Recovery from a Heart Op or any other major surgery can be a slow process. 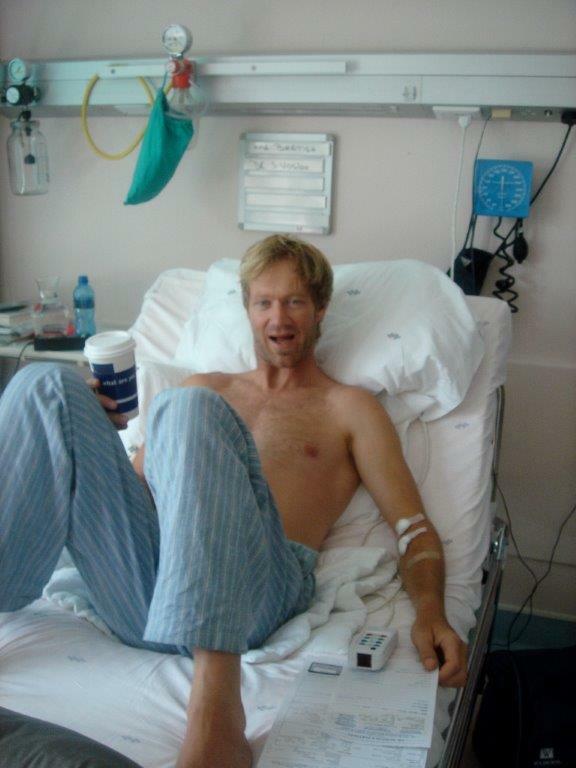 I feel that I am a bit of an expert on bouncing back from major thoracic surgery. I base most of what i write and say, on this. However, through my research and dealings with patients who have had major and prolonged surgeries linked to Cancer or other , many suffer and go through the same or similar hardships and recovery processes. Walking is great for the recovering patient, their body, mind and sole. Walk a lot! Eat well, eat healthily. Its time to rethink and re-look at your life. I think you will find you the patient will naturally be more aware of what you are putting into your body. Go easy on the alcohol, specially at first. And NO more smoking! The first week will be difficult. Lots of moods, highs and lows. The excitement of leaving hospital soon wears off, and the boredom of being stuck at home creeps in. Have friends over to visit, but do not go out much in the first couple of weeks. You do not want to be bumped in the chest, or pick up a virus or cold etc. while your still so fragile. REST is very important. Sleep as much as possible! You may feel pain around the ribs and sternum area ( heart surgeries), this is natural. Everything was moved and reset after the op. Sleeping pills may help if you are battling to sleep because of discomfort and pain. Speak to your doctor. You may feel temperature fluctuations, loss of taste, smell and other senses. Don’t panic, everyone is different and may feel different senses and emotions. Don’t let yourself become rundown! This is a fantastic time to rest and take stock of you and your life. Lean on friends for support, contact support groups (ask your doctor), search the net, or e-mail me. There is a great book I can recommend, which will help you both before and after the op. Coping with Heart Surgery and Bypassing Depression. Your sternum will heal after 5 to 6 weeks. It will be strong again after 3 –4 months, don’t rush this period. Have a 3-month check up with your cardiologist, and let them decide what you can and cant do. After this it’s up to you. Mail me for anymore info. “What you put in you will get out” this makes even more sense to me now. Help your body repair and heal. Fuel it well. Cut out the Sugar, cut down on the alcohol and cut out the smoking immediately. As important as physical exercise and a healthy lifestyle. If you dont “believe” you will not repair and recover yourself.